Usage notes: You know how sometimes you’re with a group of people with multiple conversations going on, whether at a party or sitting around a table, and suddenly everyone finishes what they were saying at the same time, so there’s a moment of silence? That sudden stillness can feel awkward, with everyone hesitant to be the first to speak. 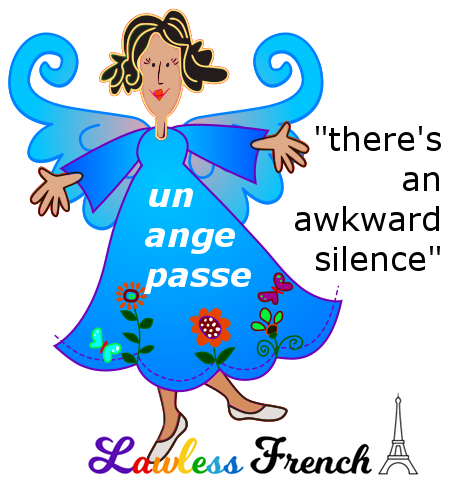 But not the French: other than in very formal situations, it’s typical for someone to break this silence with the expression un ange passe. 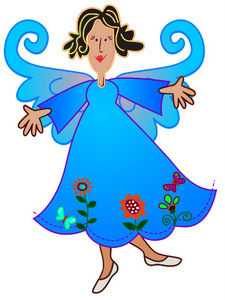 No one seems to know the origin of the expression, whether the angel’s passing is what causes the silence or if she is attracted by the tranquility, but either way, un ange passe is a nice way to release the tension and continue chatting.